WASHINGTON (Sputnik) - The Cygnus cargo spacecraft launched earlier this week has successfully completed its docking procedures with the International Space Station (ISS), Northrop Grumman said in a press release. MOSCOW (Sputnik) - The likelihood of a collision between pieces of a destroyed Indian satellite and the International Space Station (ISS) is not high but some of these parts are small and hard to track, Sergey Krikalev, director of manned spaceflight at Russian State Space Corporation Roscosmos said in an interview with Sputnik on Thursday. 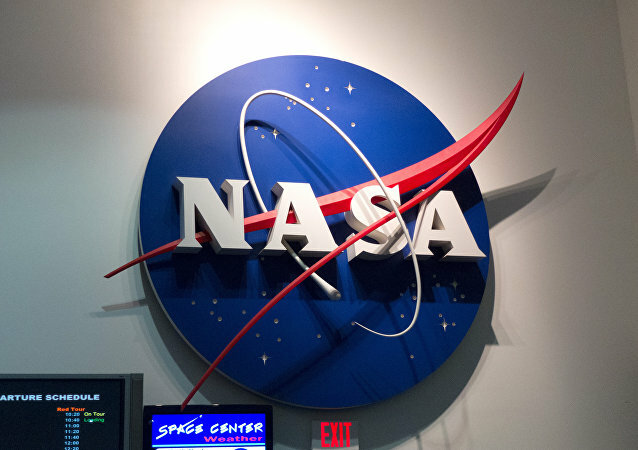 WASHINGTON (Sputnik) - The United States has criticized India for last week's anti-satellite missile test calling it unacceptable and incompatible with the future of human space flight, NASA Administrator Jim Bridenstine said on Monday. 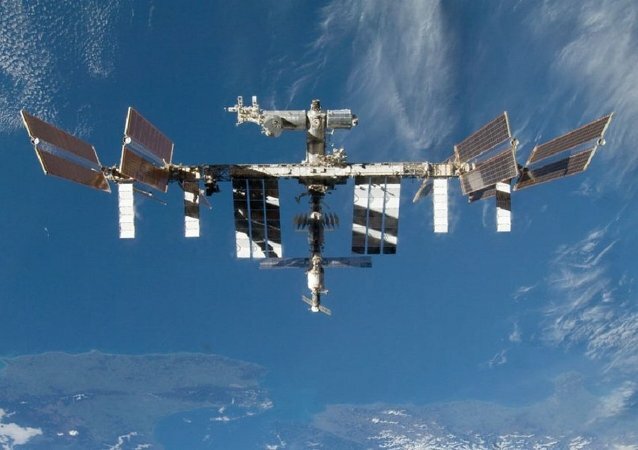 MOSCOW (Sputnik) – Air analyzers registered a high concentration of isopropyl alcohol in the air circulating within the International Space Station (ISS) after the arrival of US unmanned spacecraft Dragon 2 this weekend, a source in the Russian rocket and space industry told Sputnik on Tuesday. 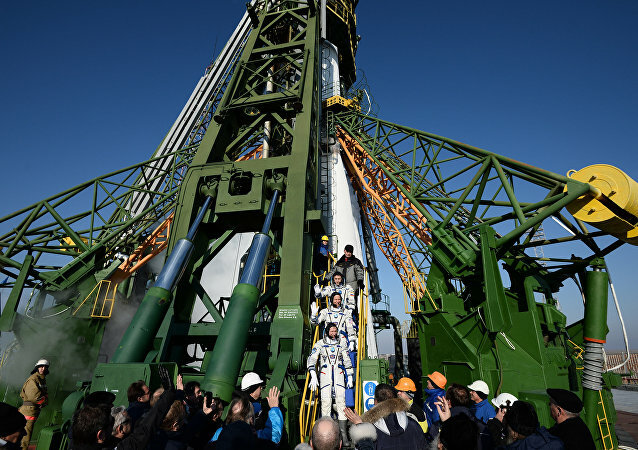 The ISS Expedition 59-60 is scheduled to launch to the International Space Station from Baikonur Cosmodrome on Thursday. MOSCOW (Sputnik) - First UAE astronaut's length of stay on board the International Space Station has been reduced from 10 to eight days, a Russian space industry source told Sputnik. MOSCOW (Sputnik) - NASA astronaut Nick Hague, who, together with Russian cosmonaut Alexei Ovchinin, did not reach the International Space Station (ISS) in October due to the Soyuz-FG launch vehicle accident, may go for a year-long flight on the station in March, a Russian space industry source told Sputnik on Sunday. MOSCOW (Sputnik) - Russia's Rocket and Space Corporation Energia has introduced video surveillance at all stages of the construction of Soyuz spacecraft after a drilled hole in the household compartment of the Soyuz MS-09 spacecraft was found, a source in the Russian space industry told Sputnik. MOSCOW (Sputnik) - The results of the probe into a hole in the hull of the Russian Soyuz spacecraft, which was docked to the International Space Station (ISS), will be communicated to the Russian leadership in the coming weeks, Dmitry Rogozin, the head of Russian space agency Roscosmos, said. Zero gravity is a tricky thing, as one can learn from the interview of a Dutch astronaut who unintentionally "prank called" NASA and startled the emergency staff in Houston. 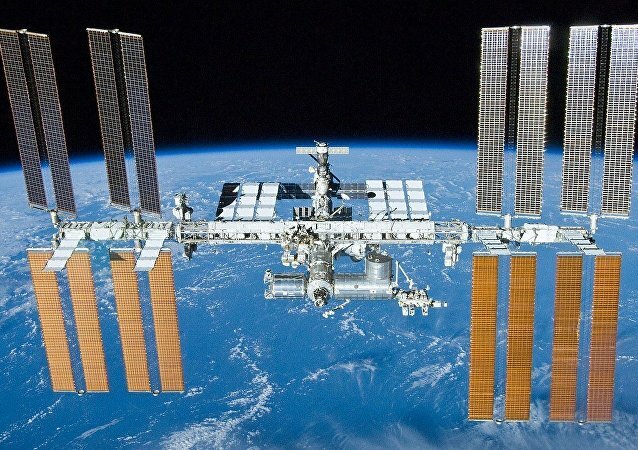 MOSCOW (Sputnik) - Manned flights to the International Space Station (ISS) under an ultra-fast three-hour scheme involving circling the Earth twice, will begin in a year and a half, Dmitry Rogozin, the head of Russian state space corporation Roscosmos, said on Sunday. KOROLEV (Moscow Region) (Sputnik) - Russian cosmonaut Oleg Kononenko removed part of micrometeorite protection of the Soyuz MS-09 spacecraft's hull and discovered a hole under it, a Sputnik correspondent reports from the Russian Mission Control Center (MCC), where the Russian cosmonauts' spacewalk is broadcast. These days Russian Cosmonaut Oleg Artemyev is rehabilitating in Greece. After two space missions and a total time of 365 days, 23 hours and 5 minutes spent in space, the Russian cosmonaut has chosen Greece to get back to “earthly rhythms”. During the last launch on October 11, a rocket carrying Russian cosmonaut Alexei Ovchinin and NASA astronaut Nick Hague malfunctioned about two minutes after the liftoff, sending their escape capsule into a steep fall back to Earth. 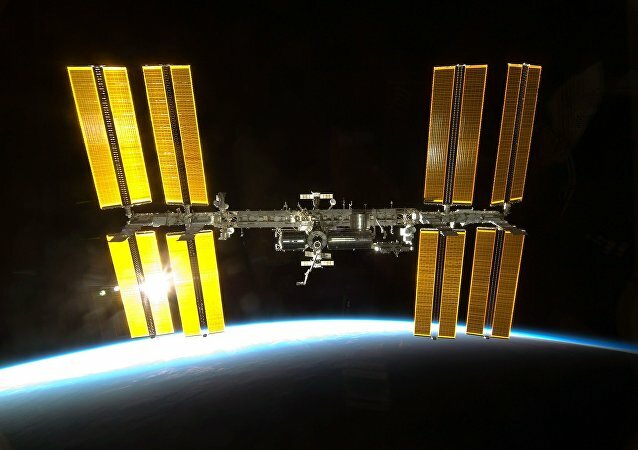 The International Space Station is subject to the endless bombardment of tiny particles travelling at supersonic speeds. A team of MIT researchers has found that the micro-particles could be dangerous to the orbiting outpost - in some cases even being able to melt holes in its shielding material.